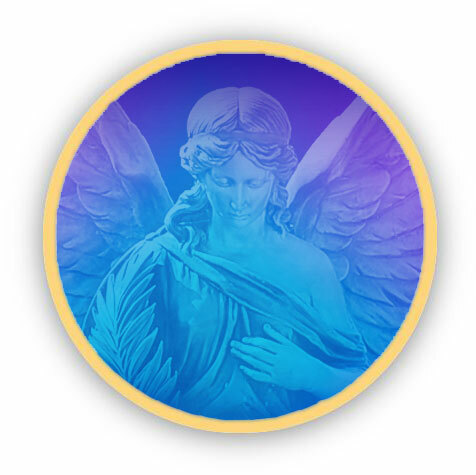 Archangel Uriel and his consort Aurora work to bring peace to this world. 'Uriel' means Flame of God and in order to have peace the archangels sometimes have to make war for the binding of fallen angels. Their angels are so large and powerful they can dissolve problem situations with the light of their wonderful smiles. 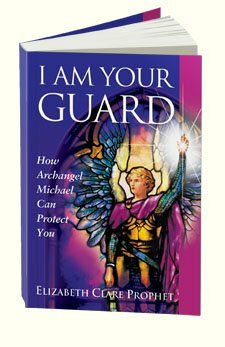 Archangel Uriel is a great help when you or your world are in a turmoil. If you ask him he can bring you inner peace, tranquility of spirit and the renewal of hope. You can ask him to help bring peaceful resolution to your problems in personal, social and professional relationships. He will help create a harmonious environment for nurturing creativity and growth. He can also be called upon for the ending of war, bringing of peace and promoting brotherhood and understanding. He is waiting to be asked to help with the manifestation of divine justice in courtrooms and between nations. Uriel serves on God's sixth ray of ministration and service, which is the most multicolored of the rays (energy streams), being purple and gold flecked with ruby. He can be an inspiration and help for anyone who serves others such as nurses, doctors, hospice workers, counselors, teachers, judges and public servants. 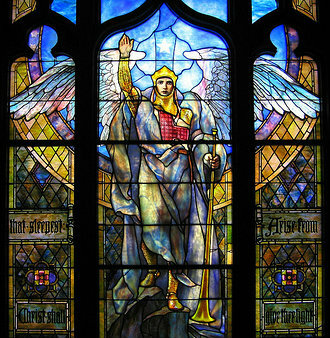 However, as with all the angels, he can only help when he is asked because he must respect the free will that God gave to mankind. It is important to remember, because I don't want you getting discouraged, that when you call to him for divine justice, his answer may not be immediate. But please be assured that by your call the process will have begun. It will be fulfilled in God's time, though you may not know the outcome yourself. 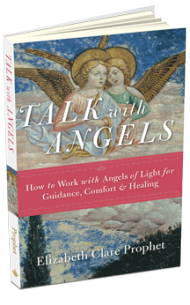 Have you received an awesome or surprising angelic answer to a prayer? Tell us about it and read other people's stories too! 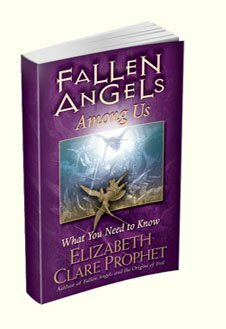 Archangel Uriel is not named in the Bible but you will find him in other Christian and Jewish texts. 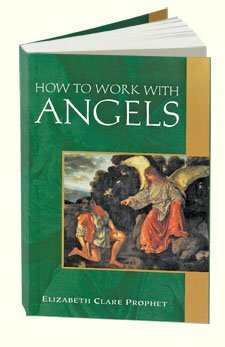 He is mentioned in the book of Enoch as one of the four archangels who guided Enoch on his journeys through heaven and the underworld. He is also said to have warned Noah of the impending flood. Uriel and Aurora have their etheric retreat, a focus of light above the beautiful Tatra Mountains, south of Krakow in Poland. It is interesting that Uriel is also the angel of the resurrection flame which brings renewal, rebirth and rejuvenation for us. Well, you know that the phoenix is a symbol of rebirth, and would you believe it, the phoenix bird is on the Polish coat of arms! How amazing is that? I just love these "coincidences". Check out more about Uriel and Aurora here.